The hallmark of sage – he or she is completely at ease, no need to impress, no need for adulation or anything else….just pure blazing presence! Thanks for this post, Harsh Luthar! Where can one read more about the visits of such sages and Shankaracharyas? Can you help me with some references? I had read about the Advaita Doyen & Sage Sree Narayana Guru from Kerala visiting; and not a single word was “exchanged” between them — both being fully “aware”. 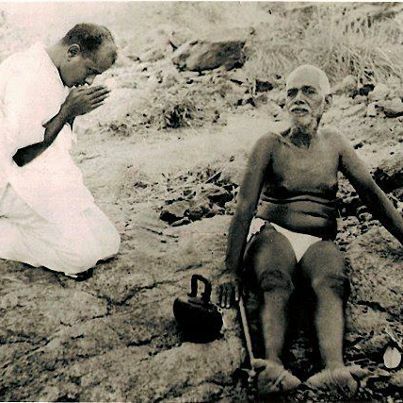 There it is said Bhagawan went about with his routines, when Sree Narayana Guru stayed in the Ashram. It would be a blessing to know more about the Jivanmuktas of the centuries.